*Please note there is a small amount of box damage to the lid which is why the doll has been reduced. Conny is a beautiful little doll by very talented artist Heidi Plusczok. She's a limited edition of 35 and is new for 2016. She can move her legs and arms and bring them into different positions due to the extra joints at elbows, knees. Her head is fully articulated so she can make cute expressive poses in any direction. The second photo shows Conny's body type. 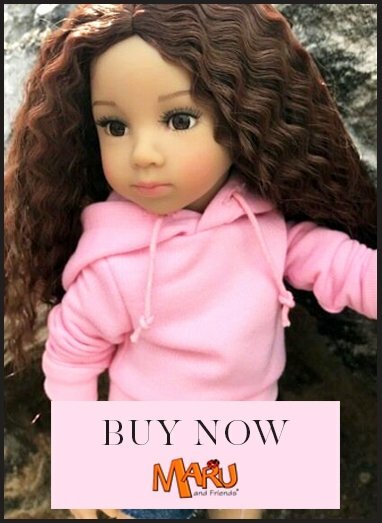 She has a red hand-made, real human hair and mohair wig styled with a fringe and in pigtails. Her sparkling glass eyes are mouth blown, and from Lauscha. Her face is handpainted by Heidi.